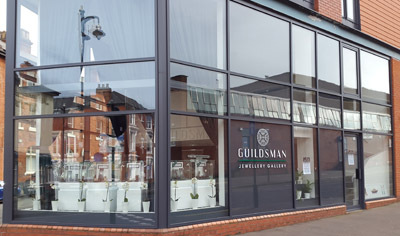 The Guildsman Jewellery Gallery, situated in Spencer Street, is a brand new retail destination, dedicated to showcasing and supporting the work of individual designers, makers and craftspeople working in all fields of gold and silversmithing. The brain child of Sarah Leighton and Mark Hampson, both designer makers themselves, the gallery promises to give the public direct access to the makers and craftspeople who up until now have not had the facilities or opportunity. The gallery promises to have a wide and varied range of work on display, everything from unique, one of a kind jewellery pieces in precious stones and diamonds to hand-made silverware and object d’art, all made from the finest materials and finished to the highest standards. The gallery is spread over two floors with consultation areas for designers to meet their customers. Cooksongold, the UK’s largest jewellery making. Henry Deakin has been named as. Weston Beamor will be giving a. This year marked the tenth anniversary. 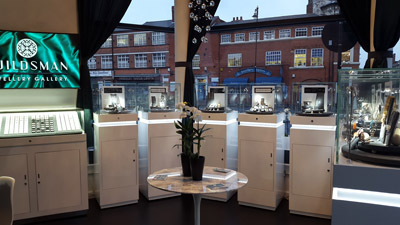 Award-winning Birmingham-based jewellery manufacturer Hockley Mint. After 230 years of designing and. WB The Creative Jewellery Group was. Which Cheeky Chap Are You? The latest offering from British based. Katy Tromans, a 3D print and. Hockley Mint will mark its 25th.